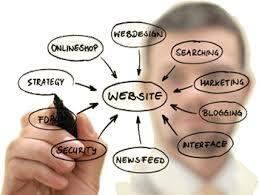 We specialise in web design and development for both small and large businesses. 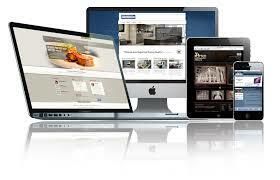 We build sites for; desktop, mobile devices, online shopping, company intranet/portals, and many more. No matter what your budget, we find a solution that works for you. Looking for a logo, flyer, business card or other materials designed and printed. We take all the hassle out by providing you a high quality, to specification design for all of your business needs. Its important to have a point of presence on the Web but you may be missing out of new business. We can help make your business more visible to your target markets with our Search Engine Optimisation Services. Confused by FaceBook, Twitter and the social media world? We can not only implement and explain a social media strategy for your business, we can work with you to identify the best mediums for your business. We can convert your existing website to not only work well from a full sized screen, but also for mobile and portable devices. All sites we create are automatically fully scalable. Are websites, online and digital implementation not the strong point for your business? Then let us help, we offer a very cost effective service in which we will handle all of your web and online updates and needs.